This post by Debb Janes was originally published on ActiveRain. Rose is a Realtor with The Carl Group in Camas, Washington. You can contact her via her website here. If you’ve taken the leap and you’re using the power of video marketing for your business, good job. However, make sure you’re doing what you can to optimize your video views and channel activity. It’s the only way to gain credibility with YouTube and Google. Long video descriptions — YouTube and Google rely on the text surrounding videos. The more they know about your video, the greater the odds of ranking it for your target market. Remember that word “authority”? It really does matter, and Google will be looking for keywords in order to rank you for super-long-tail keywords. 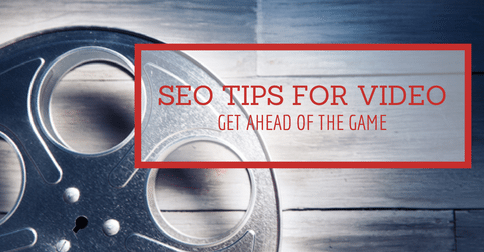 Optimize your keywords — Check to see how your video’s keywords are ranking. Are there any video results on the first page? If not, you’ll want to rethink your text, and possibly your title. Share your videos on online communities — You’ll want to be careful about how you do this. Make sure it’s a relevant topic to the site and that it’s a video that has an entertainment factor, or offers value. Getting quality and quantity views from a target audience gets your videos ranked — and builds authority! Create a video site map — This is a complicated topic, but basically, you want to direct your video SEO to your own site, not YouTube. You can create your own site map by typing video details in a predefined format. Or if you have a WordPress site, you can use a plug-in. In this case, it might be worth paying for a plug-in, as it’s a good solution and will save you time. Speaking of subscribing, take some time each week to like, comment or subscribe to new channels. YouTube Thursdays operates similar to Facebook Fridays — hopefully, you will find ActiveRain members who will interact with your channel giving it more credibility with the search engines. Be sure to like, comment and subscribe to Charlie Dresen — he’s one of the best!